The home country is still going strong, but this should be a great all South American match up. Aluá is a homemade spirit made from a combination of fruit or grain and water, which is fermented for a short period of time. In the warm weather of Brazil, the natural fermentation process only takes a day or so. Here is a recipe for a fruit based Aluá. You basically take a medium pineapple and 2 quarts of water, cut off the pineapple skin, cover it with the water, and leave it to ferment for over 24 hours. To stop the fermentation put the vessel in the fridge. Sugar can be added after fermentation if desired. Serve cold or over ice. 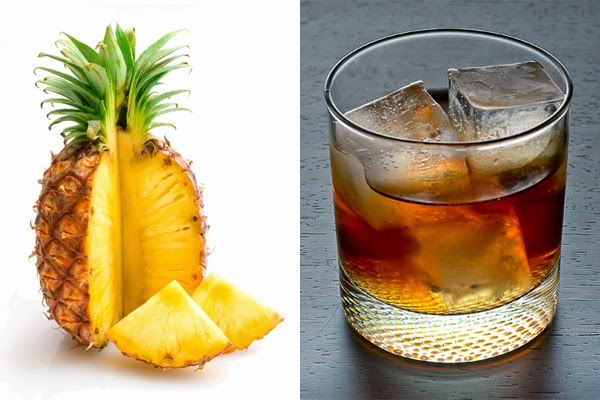 This next cocktail sounds a little sweet for me, but I was having a hard time with more Colombian drinks and Colombia is known for coffee, so here goes. Liquor.com has a cocktail created by Van Gogh Vodka called the Iced Caramel Coffee which is made with 2oz of Van Gogh Dutch Caramel Vodka (yuck) and 2oz iced coffee, poured over ice in a rocks glass and stirred.